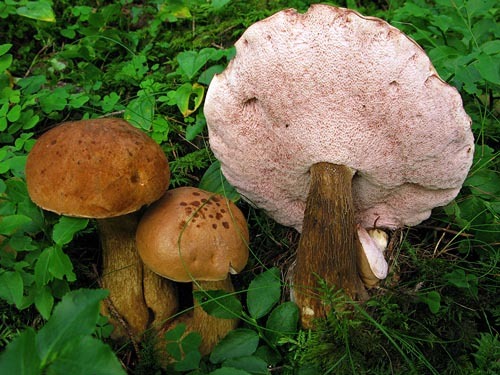 The only European member of this genus is instantly recognized due to its pinkish pores, bitter flesh and pink spore-print. 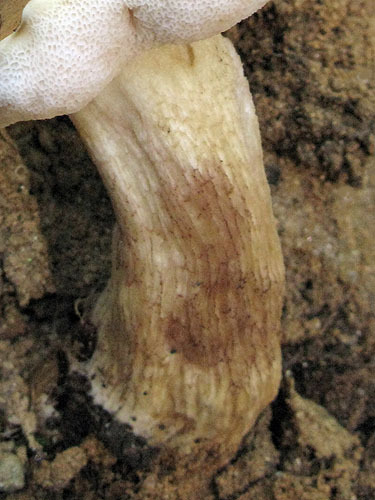 Tylopilus felleus (Bull. : Fr.) P. Karst. 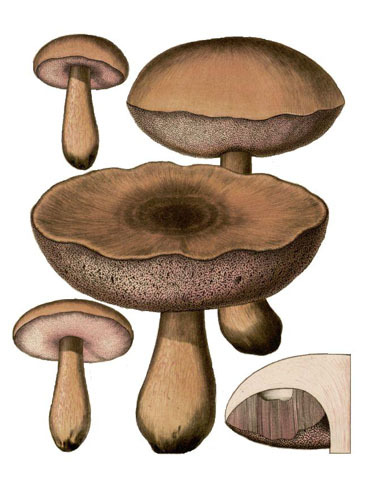 Cap up to 12 cm, at first hemispherical then expanding to convex, sienna, beige, pale brown, at first velvety, then glabrous. 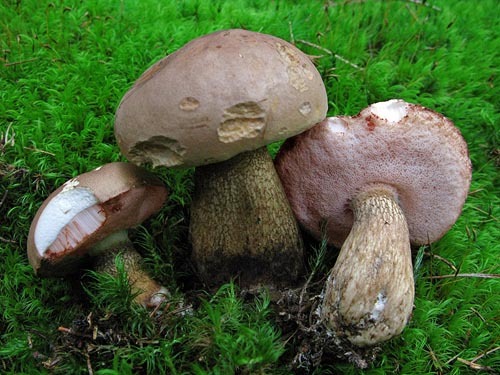 Stipe club-shaped or sometimes cylindrical, almost concolorous with the cap, often paler in the lower part, covered with well developed brown reticulum. 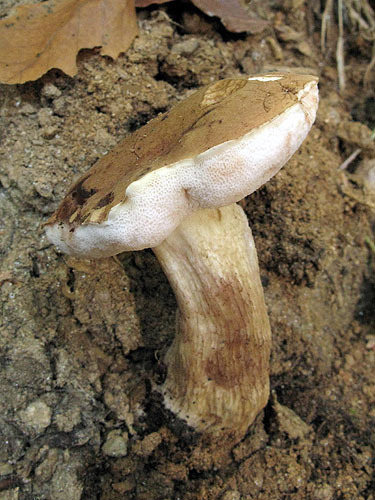 Flesh white or cream, unchanging when exposed to air. Tubes at first whitish, then pale pinkish. 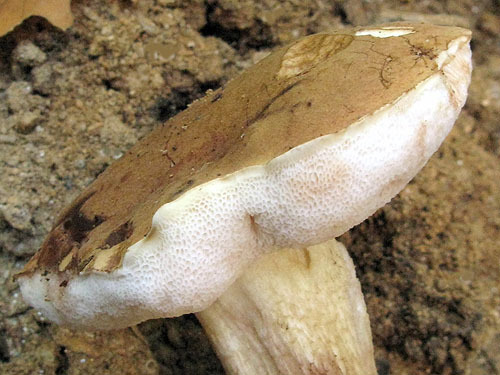 Pores whitish, then pale pinkish. Smell not distinctive. Taste bitter. 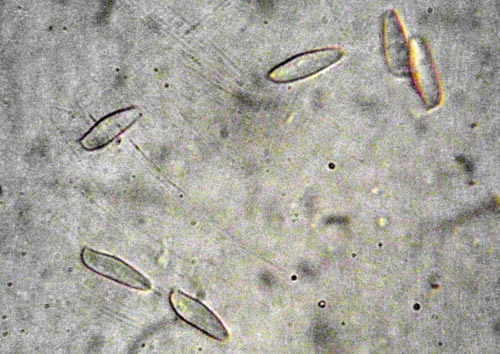 Spores 11–17.5 × 3–5 μm. Habitat. Coniferous, mixed and deciduous forests, mycorrhizal with both coniferous and broadleaf trees. Similarity. 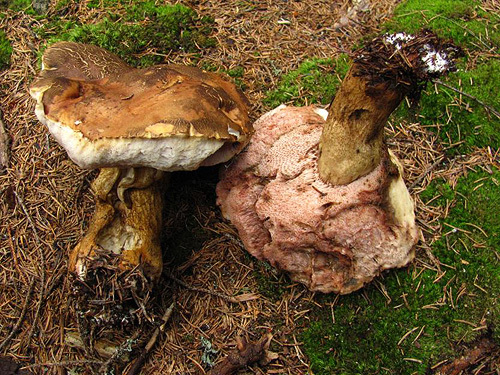 Sometimes confused with Boletus edulis, but recognized by the pinkish tint of the pores and the bitter flesh.